The road to recovery and fitness is fraught with many challenges and last weekends challenge was called Corstorphine Hill. With a weekend free due to finding a new sofa the previous Saturday I felt compelled to do something interesting and saw that new kid on the block Scurry Events we’re hosting their inaugural event around a trail I’d been keen to test out. Better news was that they had a 10km, 5km and a fun run – the prefect family outdoor adventure I thought and so I signed up myself for the 5km and ASK and the GingaNinja for the fun run. Now the question you might be asking is why I would be signing up to the 5km distance when there’s a 10km available? Well the answer is very simple – injury and fitness. Having jarred my shoulder during the move up here I can now barely move my left arm and the back problems that have been plaguing my running for more than 3 years now continue to be an issue, this combined with a distinct drop off in activity has meant that I wasn’t even fit enough for the 5km. Regardless I signed us up and when I awoke on Sunday morning I felt like today was going to be fun, that was until I looked out the window to see the horizontal rain lashing the flat. Hmmmm. I did briefly consider calling it all off and returning to bed but I had promised ASK a medal in exchange for her 1km running effort. So with the 5km race the early start we set off on the 20 minute journey to the start line. The race HQ was inside a nice looking hotel in Corstorphine and this was handy given the biting cold and driving rain. There were lots of families who had braved the conditions to take on the local hills. Registration was well organised and everything was quick and straightforward – number and pins, what more did I need? The family I found a quiet corner where could arrange ourselves and I suggested that the GingaNinja and ASK hide in the restaurant with a hot drink and a bacon sandwich while I headed out. The start line was a short hike across the road and up a muddy hill through a hole in a hedge – I liked this. There was something really traditional about this race – there was no chip timing, there was a muddy field and a start line with a tent or two to support the throng of runners. Lovely. The pre-race briefing was suitably brief and many of the runners huddled into a tent both for a bit of a warm up and to avoid the rain. I was unusually attired in my light waterproof jacket but I’d teamed it with my shorts – because who the hell wears tights! Ha. However, I was somewhat concerned that I’d be overheating in no time, the trouble was that I knew post race I’d be in my kit awaiting the start of the fun run and I didn’t fancy that soggy clammy feeling before facing the wind and rain again. Anyway the race started and the front runners pelted down the field and through the mud with more energy than my little legs could find. However, the mass of overtakers that I had expected to pass me didn’t occur and I settled into my ‘stride’. What I hadn’t expected though was that my overall fitness was so poor that by the time I’d climbed the first hill that I would be badly out of puff. But I was very much out of puff. As the path led downwards I was momentarily grateful but the slick, muddy conditions meant that I needed all of my best control, not something I’m noted for. Runners overtaking me had no such concern and hurled themselves into the danger of the slippery conditions but I was being uncharacteristically cautious. I pushed onwards and more importantly upwards into the woodlands and found myself disposing of my waterproof jacket as the cover offered my the woodland was sufficient shielding from any remaining rain. The route was a 5km lap of the Corstorphine woodland area and it was really very beautiful for the most part. The paths were well trodden but still felt like you were out in the middle of nowhere and the undulating nature of the route conspired with the weather to ensure that this 5km felt much tougher than the distance implied. The route was also delightfully scenic and you realise that Edinburgh is surrounded on all sides by lovely little pockets of green that really can take you out of the city and as I ambled around Corstorphine I was reminded of the value of my move to Scotland. As the kilometres fell I started to feel more like a runner, well more like an ultra runner, as I climbed very slowly but steadily up the hills, rather than belting them out like I should have been. I was also abundantly aware that the last kilometre contained the biggest climb up, to the highest point of the route, which I have assumed was Corstorphine Hill itself. I had only seen the hill from the lovely photographs posted by Patricia Carvalho, who I’d met during the epic Skye Trail Ultra, and the pictures of the landscape were very inspiring and so as I passed by the daunting rocky faces I felt a familiarity creep over me – deja vu to a place I had never been. As I reached the top of the hill I could see the finish line – it was a clear run back down the field, one tight turn and then a thunder into the tent, making sure not to be undone by a nasty patch of slick mud near the line. I gave it a bit of welly and overtook some of the runners who had taken me down a little earlier in the race and as I heard my name called out I was filled with both joy and joyous relief that I had finished. This was a tough but enjoyable race. Thankfully though the day was not quite over for me and I ran back to the hotel HQ and picked up the GingaNinja and ASK. Unfortunately the rain had once more picked up and so we increased the clothing for both of the fun run racers – just to make sure that nobody was getting a serious soaking. The GingaNinja selected her Hoka Ultra Hi boot for a bit of added grip but ASK didn’t have any trail running shoes and so we decided we would mostly run it holding hands with her – though as we discovered this was mostly unnecessary. With the 11am start approaching we joined the dozens of other runners at the start line and after a warm up we set off. Now to be fair ASK hasn’t run a trail race since the Chislehurst Chase Fun Run over 18 months ago – so we were both surprised by her blistering start and her desire to thunder up the hills. She went straight into the mud and happily dived through it – with the GingaNinja noting that she was, ‘struggling to keep up’. Into the fast downhill we thundered along and although not at the front , considering the age range of the participants we held a strong mid pack position. Ahead of us we could see runners being encouraged by parents as the hill climbs came thick and fast, ASK for the first time faltered on the climb upwards to the return half of the race. However, with some gentle encouragement we opened up the taps and pressed onwards, overtaking a few more runners before reaching the squelching mud again. This time I took the route through the worst of it while the GingaNinja supported ASK abc then it was a downhill sprint to the finish. ASK called out to go faster and slipped away from us and we, as parents, decided to let her go for it. I ran ahead to capture the moment on camera and the GingaNinja eased off the accelerator as ASK crossed the line to a rapturous applause! (As well as a hard earned medal, a small amount of chocolate and lots of lovely fruit). Scurry Events were really well organised and lots of fun. Everything was in the right place, there were lots of really enthusiastic volunteers and I felt like lots of effort had gone into making this a really family friendly event. I was mildly disappointed not to get a medal but the branded towel was fun and ASK did get a medal in the fun run which was the important thing. And the addition of a bit of Active Root and some biscuits at the end was very welcome. I feel that Corstorphine Hill was a great choice of event location and although the 10km was two loops of the 5km route I blieve that the route bore a second look and you would happily run a 6hr looped event here without losing interest – an event to think about organising guys!?! (Winter please). Check out Scurry Events – supporting new and enthusiastic event organisers is always a good thing, especially when they do such a good job and I look forward to the next time I’m at one of your start lines. Sunday was a weird kind of day, I should have been completing The Fellsman in Yorkshire but an injury meant that I had withdrawn a few weeks ago as Yorkshire from Kent is a long way to travel for a DNF. However, I didn’t fancy not doing any racing this weekend and so with a bit of a look through the listings I found ‘The Chicken Run’ at Herne Bay on the Kent coastline. A 5km race isn’t a distance I do very often anymore but today was a reminder that this is a distance that I love. Anyway let me roll back a little and to about 8.30am when I get into the drivers seat of the Big car for the first time and started the terrifying near hour journey to the coast. The weather was grey and overcast and my newly minted bad mood was as grey as the sky given my new found mental strength to bad food. However, unlike the weather my bad mood abated and we parked up half a mile from the start line at Herne Bay pier. I always get a lovely sensation when I arrive at any British seaside town, presumably derived from my university time in Blackpool and so with a spring in my step I bimbled onto the pier with ASKruns and the GingaNinja. There was a small queue of runners who had arrived before me to face the whipping winds of Herne Bay pier and who, once they had registered, hid behind a nice big wind breaker near the California food stall! The team of volunteers from the Strode Park Foundation were doing a top notch job getting everyone geared up with the obligatory costume and keeping everyone’s spirits up with cheer despite the slightly soggy conditions. I did as all other runners did and hid behind the wind break and put my costume over my usual 5km kit of t-shirt and shorts. It was a little while later that all the runners were called over for the ‘photo opportunity’ – this involved sitting astride the merry-go-round and getting to know some of the other runners. It was a really nice way to set things off. This was followed by a bit of a chicken roast from the guys at Bay Running as they got us warmed up for the run. All this was taking place for my daughter to see who, during races, traditionally sees me nervous and a little stressed. Today though she was seeing me dressed like a chicken, flapping my wings and generally having fun. We were taken to the beginning of the race at the start of the pier, I took up my customary position near the back of the field and with a crack we were off! Dozens of flapping and running chickens headed off along the coast. Despite the weather being grey the rain was mostly light and it was near perfect conditions for running. Yes there was a wind that was making progress harder than it might have been but the sight of so many lovely fowl based runners was quite the inspiration. There was a problem though about a kilometre in and that was I found myself at the front of the race. Now some may say this is a lovely thing but for someone who hasn’t led a race for a long time this was quite confusing and as I passed the army of volunteers and supporters who were lining the course I felt compelled to say, ‘help, I don’t normally go this fast’. Thankfully at about 1.5km I took a wrong turn and Lucy who had been acting as my shadow called out that I needed to follow the coastal path. Runners were now catching up too but I put this out of my mind and pressed Lucy as hard as I could until I was keeping pace with her. We reached the turnaround point together and both put a spurt on and as we were together we began chatting a little more. We reached the one significant climb in the race and I put all my mountain running experience to good use and pushed on. My companion started to lag a little and so I called out to her that she could easily take me if she pushed a little harder – and she did push and pushed really well – which in turn gave me the incentive to keep going outside my comfort zone! Behind us the other runners were not that far and with the pier now in sight I could see a top three finish being possible! Normally my more selfless self would come out and I’d have helped her keep pace to the end but the selfish side of me wanted to hear the winning roar of the crowd and for my daughter to witness me coming home first. I pushed the afterburner button and my legs found that final sprint, probably 400metres from the end and I was determined to make sure I would hit the pier first. I took a sneaky look over my shoulder and saw the two male runners creeping up on second place but I was clear enough that I could shout to ASK who cheered me home. My chest was pounding and on fire but I hurtled through the ribbon to my first win over any distance for 4 years! Conclusions: it might not have been The Fellsman but this lovely inaugural event was really, really well organised, it was a whole load of fun and really good value (chicken suit, medal, lots of support, water on the course and of course some post race chocolate egg – chicken and the egg… get it). The volunteers (I’ll assume from the Strode Park Foundation) were superb and must be both thanked and congratulated in equal measure. The course was really quite testing – with a decent incline on the way out and a nice steep incline on the way back with as fast a finish as you could ever want. The costume element of the race was a bit of fun but most welcome if I’m honest. I would highly recommend joining this lovely 5km by the sea – even if it’s blowing a gale! Brilliant. Check out the Strode Park Foundation here and their charitable aims and I’m sure the Chicken Run 2019 will be available for entry later in the year! It’s such a cool experience being on the supporting side of a race that I don’t know I haven’t done more of it! ASK and I love shouting, ‘hurry up mummy, we’re cold!’ as incentive to the GingaNinja to get round a bit quicker. 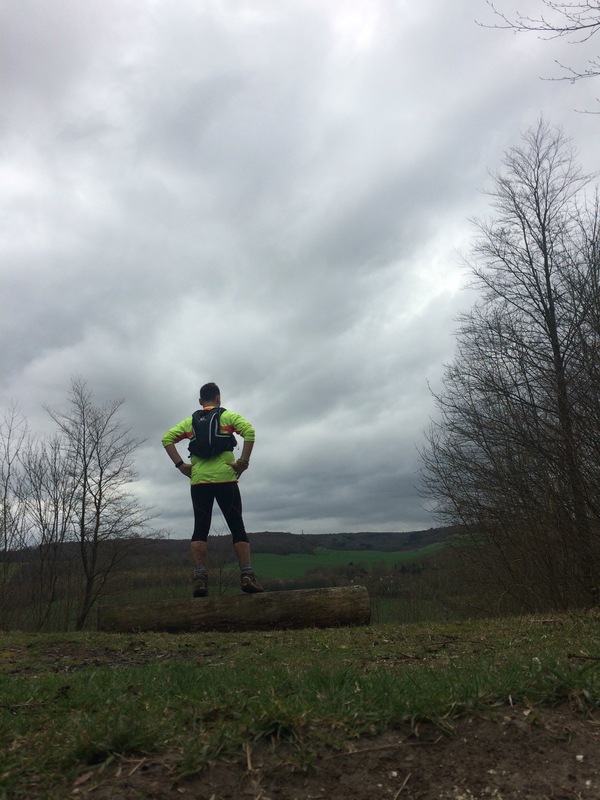 This weekend the Team UltraBoy found themselves at Alice Holt near Guildford for one of the self proclaimed ‘Brutal Runs’. A 5km bimble through some pretty nasty boggy trails and waist high waters. Having recently passed my driving test I decided that I’d do the driving to the event and try and experience what my OH describes as the slightly dull task of being chauffeur and main cheerleader. However, I found the drive to Alice Holt rather pleasant and we parked up nice and early so a toilet stop could be had and a bit of a warm up. ASK and I ran round the muddy fields, through some of the trails on the Unirider – for a bit of a laugh – spraying muck all over ourselves and found a playground to play on. The GingaNinja meanwhile had collected her number and was waiting for the start. At about 11, post warm up we all headed to the start line. ASK and I ran to the bottom of the starting hill to get a few photographs. Then they were off. BOOM – 120 women ran past us and as the ginger one ran past us our daughter shouted out with all she could muster, ‘run mummy run, run faster!’. With the race now we’ll underway the child and I jumped beck on the Unirider and headed off into the mud and to find a suitable waiting location. We took up residence at the 4km marker where we had a clear sight of the runners coming towards us and we could holler support for several hundred metres. It was here I met Joe, from Bournemouth with whom I had a delightful chat about parenting, running , eventing and a life outdoors – he too was awaiting his partner but we took it upon ourselves to cheer the runners as they came round. She looked in surprisingly good form and cleaner than I imagined she would look as she passed by with less than a kilometre to go. There was lots of waving and cheering from us before we got back on the Unirider and thundered after her. The final ascent was tough going but the runners were pushing themselves and the GingaNinja hurled herself to the top. At the final turn there was a nasty final dip into the waist high water which I didn’t fancy with the child so we flew down the trail to find a shallower crossing and although we managed it we missed the finish at the line by seconds! However, many hugs were awarded to the quite stinky GingaNinja who really had earned them. Well done. As for the event, I’d recommended the Brutal Run as I had so enjoyed the Brutal Enduro a year or two back and this event proved just as well organised, just as well supported and just as brutal. The organisers should be very pleased with the events that they put on and the medals are wonderful. I’m getting in my excuses early for the terrible state of my running over the next 10 days … but I’m still going to be running. I’ll be taking part in the 5km ‘Run for the 96’ in 5 days time on Sunday 22nd May at Stanley Park between Goodison Park and Anfield – the homes of football in Liverpool. What’s my point I hear you cry? Well I was getting to that, if I can do this then surely you can come help me do the 5km. Go on you know you want to! See you on Sunday, you bring the crutches I’ll bring the tears, blisters and manky feet. I’m not going to discuss the outcome of the Hillsborough inquest yesterday as others will offer more insightful and useful commentary than I. However, what seems to have come from it is an enormous outpouring of relief and thanks. And it is the thanks I wish to address in my latest blog post. When Dom Williams wanted to create a living legacy to the 96 I doubt even he would have thought how much of a celebration of life the ‘Run for the 96’ could become. This year after the verdict in Warrington the ‘Run for the 96’ should be like a carnival, celebrating a result that is richly deserved – and if you can please do join in. Undoubtedly it will act as a memorial to the 96 victims, a tribute to those who fought for the truth but didn’t live to see it brought into daylight, a reminder of those who fought and supported through all the years and a doffing of the cap to everyone in a city brought together by such a tragic event. But this is more than a reminder it’s a celebration, a thank you and it will be made all the more poignant if you’re there. A special request to Everton Supporters. I realise you’ve had a rough season chaps and I know you were looking forward to going to Wembley for the F.A. Cup final but it wasn’t to be – however, let’s look on the bright side – you’re now free to join in with the ‘Run for the 96’. If you can’t celebrate lifting the cup why not help celebrate this momentous moment. The support the families have received from the blue half of the city has never failed and my own father a life-long ‘blue nose’ would be delighted if you’d help him help make a sea of toffee blue amongst all the red. A personal request from one runner to another. I’d love to see you all on the start line of the Run for the 96 on May 22nd. I suspect it will be an emotional occasion and everyone should be able to share in this hugely positive community event. So, bring yourself, bring supporters, bring me a 99 with a flake (just kidding about the ice-cream) but help make it a day to remember and ensure this sporting tribute lives long in the memory. As I ran to the train station this morning for the first part of my RunCommute I thought about all the damage I was doing to the grass verges and pavements I ran on. Those same verges and pavements I run on every day, the ones that are run on by lots of my local community every day, the ones that help keep me and my local community fit and my thought led me to wonder what the hell Stoke Gifford Parish Council are on about. I’m sure you know by now that Stoke Gifford Parish Council want to ‘tax’ runners for running at Little Stoke Parkrun – yep that’s right – we might already pay for the upkeep of our roads, parks, etc by the taxes we pay but this parish council think we should dig deep once again to take part in a community, volunteer led initiative. I don’t want to lambast the council too much because that’s not going to help but I thought I’d tell you about my Parkrun experience and why I believe it’s important that it remains free. Sadly I don’t Parkrun every week because of the amount of racing I do but I do it a reasonable amount, especially with my daughter, who loves the early morning get together and seeing people congregate around a love of community running. She has no siblings so Parkrun is a great way for her to meet other babies while I get to do some running with her. I’m trying to encourage both her participation with and her understanding of people and the diversity and the positive energy that emanates from Parkrun is an easy win. I don’t go to Parkrun to annoy other park users, I don’t go to get a PB, I don’t even go on the off chance there’s a bit of cake or chocolate floating round as a reward for running 5km, I go because it’s good and I go because it’s free running with new and interesting people. 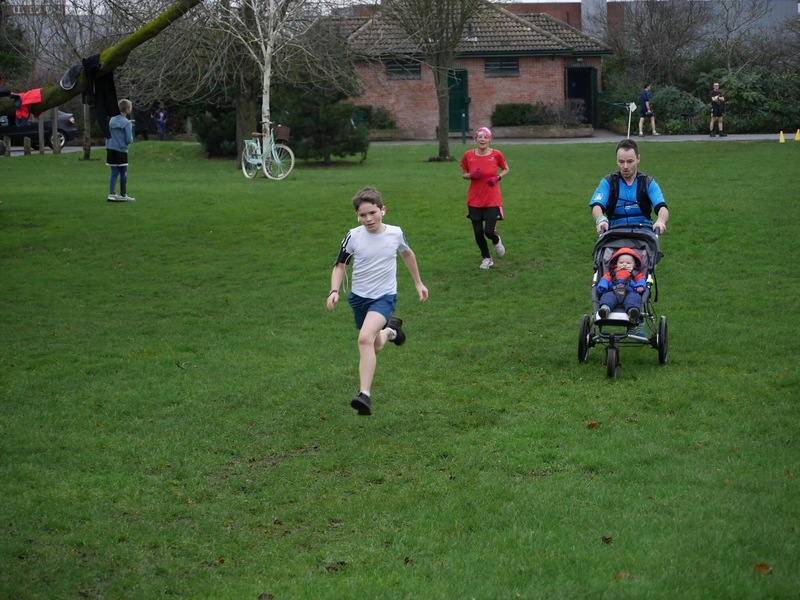 Parkrun isn’t really free – to the individual there’s the cost of transport, possibly accommodation, the cost of running kit, the cost of tea and cake afterwards – all worthwhile though. On my last visit to a Bristol based Parkrun I stayed in the city for the weekend and ate out, went to the zoo, did touristy things, perhaps I should have saved my money and put it elsewhere? I’m not the only one who does this – just look at Parkrunner and ultrarunner extraordinaire @abradypus who has racked up this weekend 250 Parkruns – I’m sure she’s kept the entire British economy going on her outlay! Parkrun will perhaps be the lasting legacy of the Olympics, I wonder how many of our greatest athletes have started here, will start here or have been to Parkrun – imagine if Kelly Holmes had rolled up to Little Stoke – would you have charged her to run? So if there’s so many benefits what the heck are the council on about? Let’s look at the response from Stoke Gifford Parish Council. Why should Parkrun UK contribute towards Little Stoke Park Maintenance? Parkrun are an organised group with paid directors and staff and attract over 300 runners using the park & facilities each week. There is no limit to the number of runners that use the park. They are sponsored by national companies. They monopolise the park paths and car park between 0830 & 1030 each Saturday and Sunday. They use the parks toilets and washing facilities. They use Council storage space. A large number of runners are from outside the Parish of Stoke Gifford and come from all across South Gloucestershire, Bristol and further afield to use the facilities in this area (which are financed by Stoke Gifford Council tax payers). Little Stoke car park is too small for their parking use. Complaints have been received from local residents relating to pavement & grass verge parking, park users and hall hirers regarding a number of incidents involving runners over the last three years. The the bit from the council that gets me the most is the ‘runners from outside the area’. I’ve run at Little Stoke and Ashton Gate in Bristol but I live in Kent and I’m from Liverpool – I travel a reasonable amount and where I lay my hat, well that’s my home. So which Parkrun should I go to? Come on Stoke Gifford Parish Council perhaps you can advise me? Am I supposed to stay at home and not go to events all over the country? Hmm. I was amused by ‘they use the toilets’ – well yes I do and I’ll be honest you don’t want me leaving my case of GI distress all over your park do you Stoke Gifford Parish Council? As for complaints I’m curious about this – as a runner I’ve been subject to unwarranted verbal abuse, being pushed into the road and other unpleasantness. However, I’ve never bothered to complain in any meaningful way – maybe some people are complainers and some of us just get on with life. Then there’s monopoly – there were about 250 people in my train carriage today – we monopolised that, however, stood on the small concourse area we didn’t. I’m not sure 300 runners have the volume to monopolise an entire park. The council are overreacting and blowing a half hour run out of all proportion. 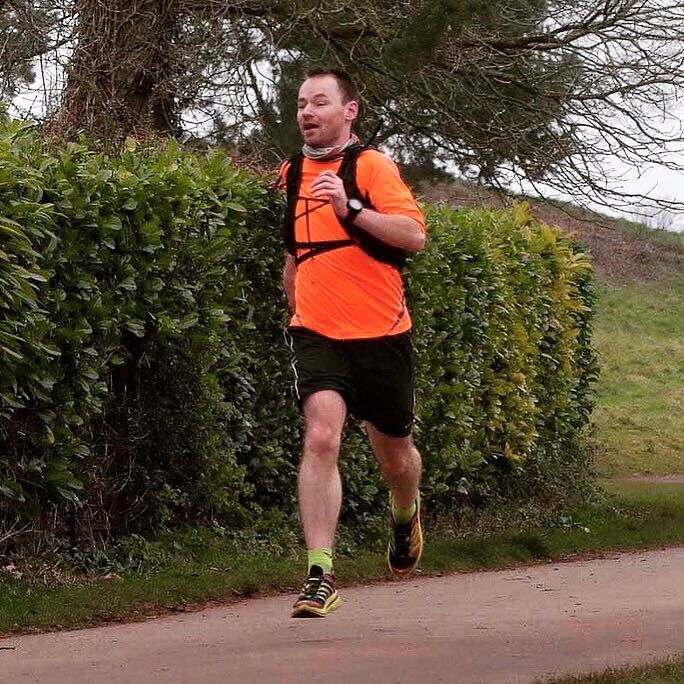 …it’s true runners use the park, it’s true it’s an organised event, your car park probably is too small but maybe rather than complain about the car park size you could promote car pooling, cycling and running to the event itself more vigorously. I’m not convinced that your arguments are good enough to warrant discrimination against this free running event. Then there’s the bigger picture and this is what it’s all about really. Parkrun gets people up and about – inspires them to fitness, keeps them off NHS waiting lists, make them feel good, therefore keeping them out of the shrinks office and off the happy pills. If it disappears it’s sad to say but people will suffer. I met an older retired lady at Ashton Gate Parkrun last year who told she had met many wonderful people since she joined Parkrun after her husband passed away. That she looked forward to her Saturday morning jaunt and catch up with people she would not have met in her normal day to day life. I wonder – will any of the six councillors go round to this lady and keep her company when her council too decides that they’d rather runners paid? The funny thing is I’ve met lots of people like this – with stories to tell – about how Parkrun, a free, community event made life better. Don’t ruin this for the people of your Parish and ultimately anywhere a Parkrun runs. I’ll be writing to the individual councillors over the next few days if only to ensure that my voice is heard and to express my dismay at this act of vandalism to the health and wellbeing of the people you claim you want to support. You have an opportunity to back down, to consider the corner you’ve backed yourself into and realise you’re wrong. Stoke Gifford Parish Council do something positive today and reverse this decision. 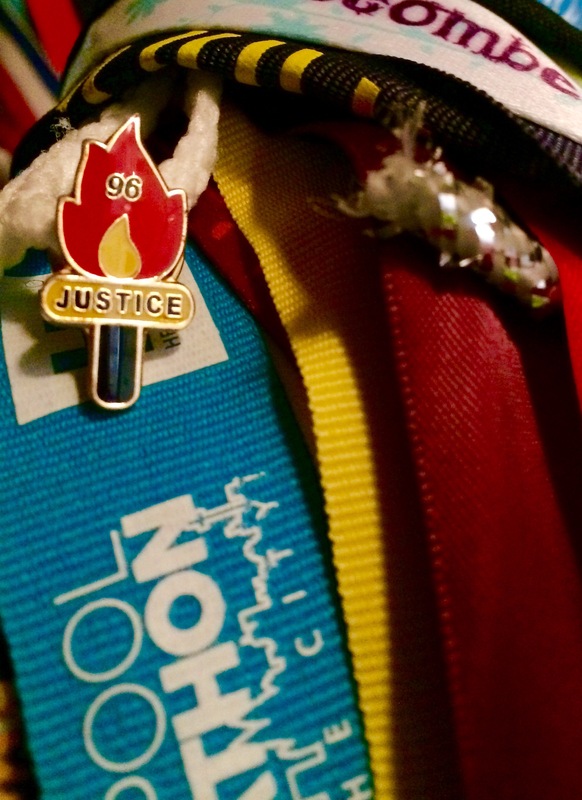 In a few weeks time a hardy group of runners will aim to get from Sheffield to Liverpool in memory of the 96 victims of the Hillsborough tragedy. As many of my regular readers will know I’ll be joining the team for The Hillsborough to Anfield run this year on what marks a significant milestone in the families quest for the truth over what really happened on April 15th 1989. There were a number of important things for me to consider when I decided to join in with the H2A guys. Can I do it? 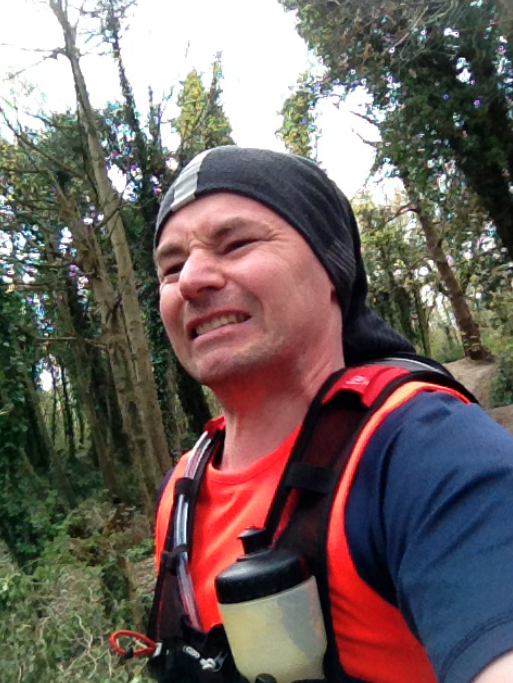 Well the distance isn’t a problem really and nor is the route itself – the amount of road running is of mild concern but training has been steady if unspectacular and other than my ITB firing up to crucify me this weekend I had a good Ranscombe Challenge/Ramble. The Isle of Skye race the weekend after poses more of a problem in terms of capability but as long as the H2A doesn’t go out all guns blazing I should be fine. Training is being ramped up even now and normally after a weekend of 40 odd miles I’d have a few days off but this time I’m straight back into it and intending to stay ‘into it’. This is one I don’t want to come away from disappointed in my own performance. Should I do it? This was a very big consideration for me for several reasons, but one reason sat at the forefront of my thinking. As well as being one of the runners, he has been prominent in the search for the truth regarding the tragedy. He has carried the weight of the brother he lost for 27 years and through some of the most difficult times, however, he continues to show a tenacity and humility that few could argue with and is a beacon of inspiration to anyone who has faced adversity. It was therefore with trepidation that I approached the event as I wouldn’t want to be a Johnny-come-lately. However, the opportunity to support my dad as he attempts to go further than ever before seemed the right kind of symbolism and the right kind of message about the positive nature of our relationship and how from tragedy positive things can happen – plus who better than his ultra running off-spring to make sure he gets to Anfield. What’s in it for you UltraBoy? That’s a very good question and the answer is simple – running is something I can do, sometimes I’m even okay at it. I’m not so good at all the other things that the families, survivors and victims needed but I can run and if this helps draw a light not just to this injustice but all injustices, if it reminds people of the power and value of community then the running I and the team do will be worth it and that’s what’s in it for me. Why do it so long after the tragedy? 27 years is a long time to wait for the truth but with the Hillsborough inquests drawing to a close and the verdict hopefully due soon it seems like this run will be a little like a full stop, an opportunity to say thank you, an opportunity to – in some cases – say goodbye. For example, this will be the final year of a major memorial at Liverpool FC’s stadium and while there will be many legacies left over from the tragedy I hope the families can live out the rest of their lives in peace and with a sense of justice having finally been reached. They’ve earned some peace via the hardest route. The run though seems like the right tribute at the right time, not just those who died on the day but those who didn’t make it to this point – family, friends, supporters and more. If you can join in then please do so – I really would love to see you all there in a sea of blue and red. As an old Liverpool fan who lives far from the city I’d urge football fans, running fans and everyone else to lace up their trainers or slip on your flip flops and join me and everyone else for 5km in Liverpool on May 22nd. And while I’m told it’s not a race I’ll be happy to give anyone who fancies it a bit of a 100 metre sprint even with a possible 78 miles in my legs and no sleep, now that surely is a challenge nobody can resist! Ha! You can enter the Run for the 96 here. See you there.